The landscape of Northumberland is probably the most beautiful and dramatic in the UK. That’s a bold claim, we know. Nevertheless, time and time again, we hear this from visitors, journalists and people who live and work here. Holidays are a time when we think lots about finding the perfect spot to photograph. So, if you’re visiting Northumberland or lucky enough to call this home, you can see some spectacular views at sunset of for those early birds amongst you, sunrise. The stunning coastline is a magnet for most people, but there are some great inland views too. If you manage to get to the right spot at the right time, you’ll be rewarded with memories which will last a lifetime – and something to share on social media too! If you’re lucky you’ll be the only one at your chosen viewpoint and be able to appreciate the moment for its peace and tranquillity with only the Northumberland wildlife for company. 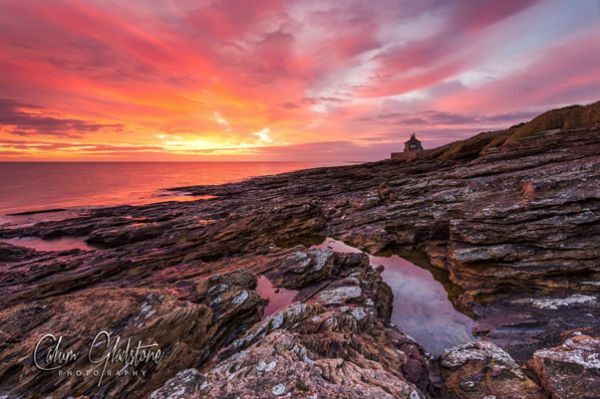 In this article we feature some Northumberland photographers who share with us their favourite places to photograph and why. What is your favourite place to photograph? Hadrian’s Wall, UNESCO World Heritage Site, built in AD122, the most heavily fortified frontier in the Roman Empire. What makes it special to you? Growing up in Newbrough in West Northumberland, Hadrian’s Wall Country was on my doorstep just waiting to be explored. I have many fond memories of picnics with my family at Cawfields and walks along the Wall marvelling at the Milestones along the way. Whats the best time to photograph this location? A summer sunset just before the sun fades from the sky; catching the final sunbeams as they light up the mystical land of Hadrian’s Wall. 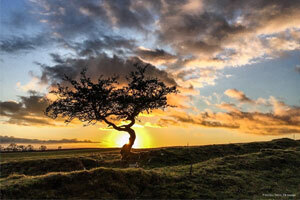 For my favourite image, I used one of the many hawthorn trees along the Wall to show the vast and captivating landscape. A versatile area to photograph, there are many views and sights to capture. How to get there? I use Steel Rigg car park as a base when photographing in Hadrian’s Wall Country. If offers easy access to The Sill; National Landscape Discovery Centre, Cawfields Quarry and Walltown Crags. How to get the best image? Don’t be afraid of a little mud, getting low down can offer dramatic views of the skyline you just need to look at my favourite image to see how powerful a little nap on the grass can be! What is your favourite place to photograph? 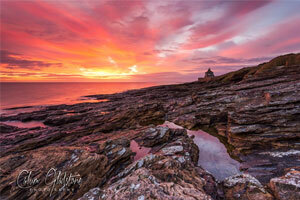 One of my favourite location is ‘The Bathing House’ at Howick. I just love all of the different composition possibilities and the unusual rock features that make for superb foreground detail. Whats the best time to photograph this location? The best time of the year to shoot this location is the winter time at sunrise when the sun is at its furthest south. This gives you a great point of view of the house and the rising sun. It’s also good for a few compositions in the summer months at sunset where you can position yourself on the cliffs south of the house and shoot across the bay at high tide. How to get there? Parking is easy with a large parking area just at the entrance to Howick Farm. It’s only a short walk to the house following the track that leads straight down to the beach from the car park entrance. How to get the best image? I really like to capture the wave movement in my shots, this gives great visual impact and also adds a little texture to the image. For the best results, i use a wide angle lens to get more of the foreground detail in the shot. The Bathing House is also a fantastic night time location, for those of us who love the night skies and auroras. Where is your favourite place to photograph? 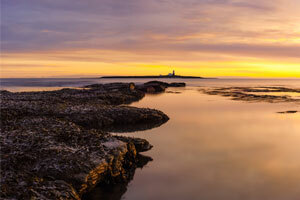 Sunrise at Low Hauxley Beach, near Amble is a stunning place to photograph. I enjoy shooting from the north end of the beach, which offers excellent views looking towards Coquet Island from a feature-ridden rocky outcrop. What makes it special to you? Having always been a coast dweller, I find being by the sea a calming influence, especially just before the sun rises as the sky begins to glow. The spot pictured is special to me as it was not my intended location that day, I was planning on photographing the ancient tree nearby but as we climbed the dunes and the sunlight began to glow from beyond the horizon, I took my position and this image was born. What’s the best time of year to photograph this location? For this location I would definitely recommend aiming for sunrise if you want to shoot out to sea or aiming south, as you are more likely to get those incredible colours in the sky that will make your shot that little bit more special. Always remember to be careful and take precautions when shooting the sun. How to get there? Getting to my favourite spot at the rocky outcrops isn’t all that hard. If you are coming from the south, head north past signs for Druridge Bay on the A1068, turning right heading towards High Hauxley. Pass through High Hauxley and follow the road bearing left, there’s a car park a short distance down the road. How to get the best image? For a sunrise shot like mine, make sure that you know what time the sun rises and get there an hour before. This will offer enough time to plan and compose the shot. The best colours in the sky don’t necessarily come from exactly where the sun is rising. Keep an eye on the rest of the sky to see if there are any other spots that are bursting to life.